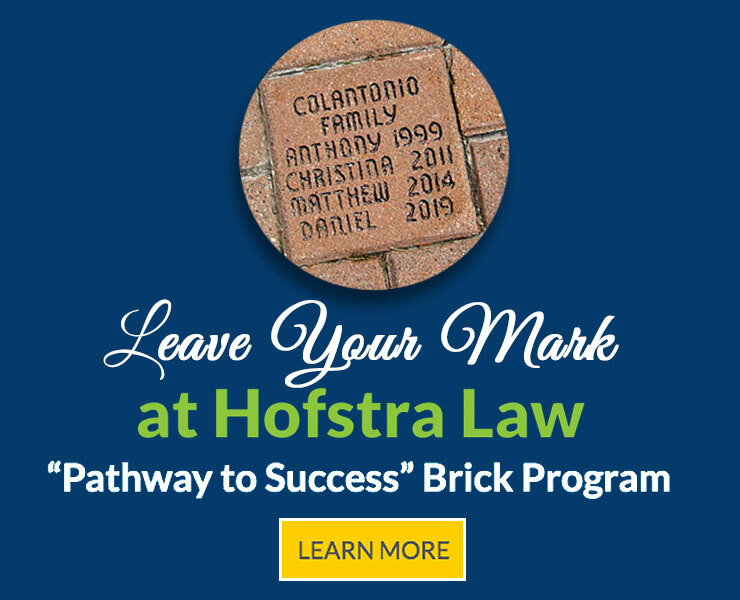 Expand Your Network — Become a Hofstra Law Protégé Member. Join today! The Protégé program, open to graduates of the last 10 years, provides opportunities for its members to build business and advance their careers, gain access to Hofstra Law leadership and help shape the future of the Maurice A. Deane School of Law. Become a Protégé member today and help increase alumni participation in The Fund for Hofstra Law. As a Protégé member, you receive the full benefits available to Dean’s Circle donors — alumni and friends of Hofstra Law who give $1,000 and above — but at special reduced giving levels that start at just $100 a year for our most recent graduates. Free or reduced admission to recent alumni events, including free admission to the annual Recent Alumni Reception. Invitations to Protégé networking events with prominent Dean’s Circle members and senior administrators. Thank you gift for joining. Recognition in the Donor Report. Recognition in the Law School Atrium display. For more information on Protégé or to join today, please contact the Office of External Relations at 516-463-2586.